Beit T’Shuvah is the Los Angeles renowned non-profit drug and alcohol treatment organization. 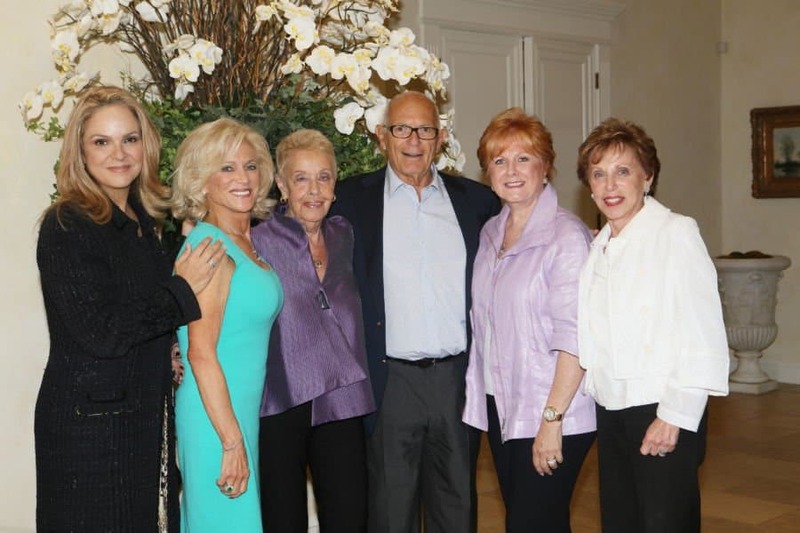 Last week, at the elegant Beverly Hills home of Sam Delug, the women’s Circle of Majesty Society held a luncheon, co-chaired by Nancy Mishkin, Ronnie Stabler, Lois Bloom and Dina Leeds. Entertainment was provided by student cantors Rachel Goldman and Seth Ettigner, congregants of Beit T’Shuvah who sing at Wilshire Temple, cantor Shira Fox, James Fuchs and Aaron Delug. I had the honor to meet a group of elegant women driven by a meaningful and inspiring cause, helping those in need to get off the bandwagon of self destruction. Drugs and alcohol addiction in one of the world’s greatest diseases and it attacks young and old rich and poor. The witty Harriet Rossetto is the founder and CEO of Beit T’Shuvah and the author of the book Sacred Housekeeping; she became aware of this disease many years ago and with it she had a vision to be able to help those who wanted to be cured. Her cure was establishing Beit T’Shuvah and with her husband, Rabbi Mark Borovitz they built a rehabilitation institute any major city in the world will be most proud of. Her other cure was to be able to write for herself, rather than for others and publish a book at the age of 75, and she accomplished both. In our society it is acceptable that one goes to find oneself; it is to know what one wants out of life and how one can make some difference in this world. The people who take the journey to arrive at answers do it the positive way and some do it the wrong way. Experimenting in drugs is not a positive way and may get you killed. Young people who become addicted to alcohol drugs break their parents hearts. This what happened to Michael Soter, who shared his sobering story about his journey into the addiction world, out of it and now, in the upcoming Fall his entering law school. There is a saying, to remain sober you have to hold on to all your principles; shame and wholeness is the obstacle to our path and the Torah is the book of t’shuvah, which means the answer, the redemption, so says Harriet Rossetto. There are times you know of something from a distance but when you encounter it from close quarters the picture you have in your head changes. Beit T’Shuvah is one such instant. After I attended the luncheon, it had enticed me to partake in the Kabbalat Shabbat-Reception of the Sabbath – at Beit T’Shuvah. Now I fully understand why this institute saves life, brings children back to their parents and parents back to their children. I can only suggest to do what I did; spend a Friday Shabbat service at Beit T’Shuvah, a place to recover your passion and discover your purpose: http://www.beittshuvah.org/.